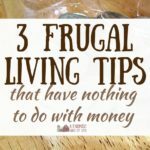 When we decide to jump into the homesteading life, it makes a lot of sense that we would have a lot of homesteading questions. A. lot. It’s important for all of us to realize that a) questions are great and b) there aren’t any dumb ones. 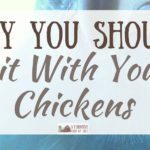 We need to ask all the homesteading questions that we can! 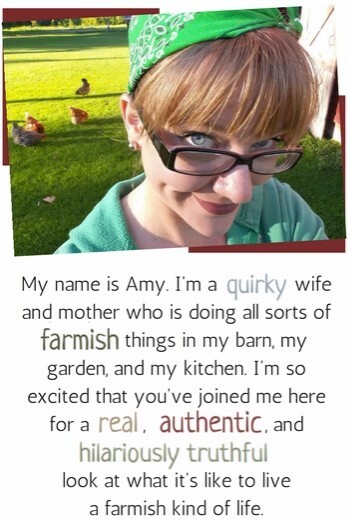 Many farmish adults of today didn’t grow up in farmish families. They did not come from parents who lived as homesteaders. Or back to the landers. Or preppers. They were not raised in a household where everyone knew how to can. Or grow tomatoes. Or butcher a chicken. Or sew a quilt. Which means lots of people (author included) need to learn how to do stuff. We need to learn about all those homesteading things. 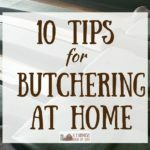 So we need to ask homesteading questions. We need to ask questions without feeling that they are dumb. We need to have a community where people can ask “what is this type of weed that’s taking over my garden?” without being laughed off the internet. You guys, stop telling me your questions are “dumb”. They aren’t dumb. Who is it that decided what questions are and aren’t okay to ask? 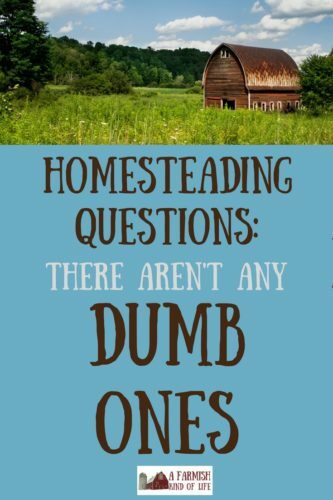 Homesteading questions: Y’all, none of these are dumb questions. Now. Lest you think that I’m a constantly bubbling fountain of knowledge, there are a billion things I don’t know. I’m still learning every single day. I asked for identification on a “pretty flower” on my Facebook page and the comments immediately exploded with “MILKWEED. 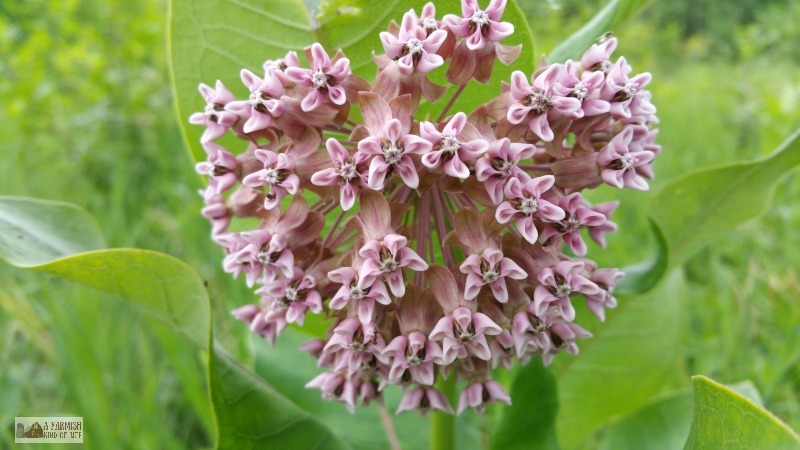 DON’T KILL IT.” I’ve lived around milkweed my entire life but had NO idea THAT flower was MILKWEED. I had never used a lawn tractor until age 36. Had no clue how to use one. I am 36 now, if that gives you any clue as to how new this revelation was. I still don’t know how to read a sewing pattern but I have this huge fantasy that I’m going to make my own clothes. I can run a chainsaw. I can weld. But hand me a weed whip? Clueless. 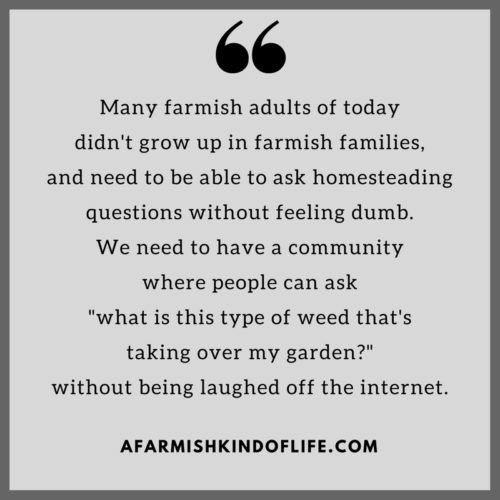 How does homesteading and farmish living become a reality for those who want it if we’re not approachable for questions…or willing to ask about things we don’t know? In all seriousness—and at the risk of sounding like a grade school teacher—the only dumb question is the one that isn’t asked. Now is the time to figure things out! 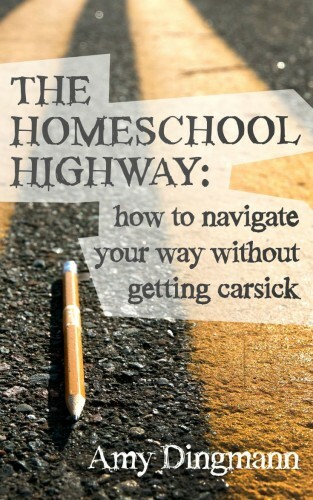 We’re all wondering what the most important homesteading skill is to have. We now learn how to can by watching a YouTube video, how to clip a goat’s hooves in a Pinterest pin, and how to make a decent pie crust in a blog post. We have social media and so many resources available to us – the information is out there. But you won’t know the answers if we put a stigma on asking certain questions. Or any questions. Trust me. 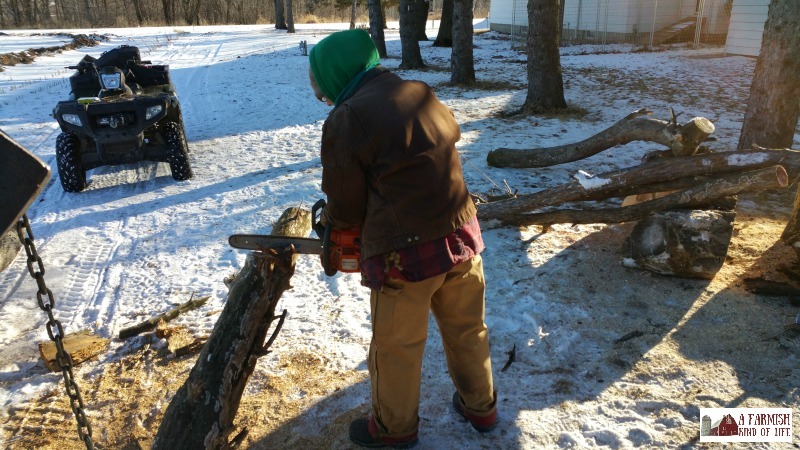 I asked a lot of questions learning to use a chainsaw. A. LOT. Everyone starts from scratch, you know? We’re all just trying to figure stuff out. So. If you meet someone who might have the answers, ask them. And if you happen to be the person who is asked something, answer the question. Without laughing. Or rolling your eyes. Or snorting. If we all work together, we can make this farmish stuff happen. We might just take over the world. But we’ve got to start asking and answering questions. I love this. Sometimes, you have to ask the “dumb questions” to figure out the right answers! Great post! At this point in my life my motto is ‘It doesn’t hurt to ask’. We are working hard at becoming more self-sufficient. 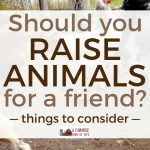 Our little farming community (go figure) just recently passed an ordinance allowing chickens/rabbits in town, so that is our next project we hope to accomplish soon. My father started life as a subsistence farmer from the Depression era, my first memories he was a 5th grade school teacher, and he retired as a college professor. he had a LOT of knowledge about a broad spectrum of issues. He always told me don’t discount anyone. Everyone knows something that you don’t. Don’t be afraid to ask. It complements the person you ask and it is the best way gain a friend. the real problem is when you don’t know the question you need to ask. a true friend acts as a mentor and helps you with the question AND the answer. Pinterest is the answer to all my ” not so dumb ” questions 😉 seriously. I can search all sorts and pin it places. You women and men who are already doing this answer so many questions every day with your blogs. Thankyou! Great post, thank you for saying what so many of us feel. 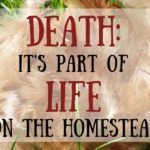 We are super new to homesteading (called a smallholding here in UK) and we have more questions than answers right now! My ‘dumbish’ question: how much light do our chickens need when they’re inside the coop? I feel like they might enjoy some more natural lighting than ours provides. They can go out in the run for the day but the chow and nesting boxes are inside. Do they need much light I n there? The greenest Newbie can know something you don’t, even after many years of homesteading. I love questions. In trying to answer, it solidifies my knowledge. You don’t really know something well, until you can explain it to somebody else (I believe this). I grew up in the city and suburbs of Detroit. I was 29 before I had had my first taste of the country, and found out that it is home for me. Not growing up in it, there are gaps in my foundation knowledge. I am happy to hear other’s solutions. 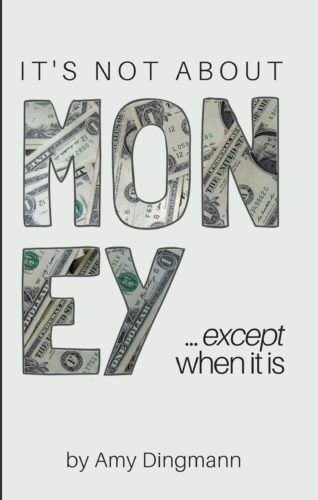 There is more than one way to do anything. Just love you to bits Amy! I love this! Though I did get a real, honest to goodness dumb question the other day. 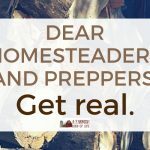 Someone asked me a bunch of questions on what makes a homesteader and how to start a homestead, then ended with this baby: Are homesteaders and squatters the same? After some confusion, turns out she thought I’d just moved to a random spot in the Alaskan bush and threw up a cabin, and she wanted to do that too! She wasn’t interested anymore after I explained that I had indeed bought my land, and that squatting is illegal. I still crack up thinking about that conversation sometimes!